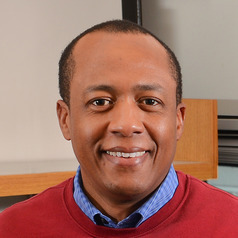 Walter Suza serves as director of Plant Breeding E-Learning in Africa. Prior to this role, he was involved in curriculum development for the ISU Master of Science in Plant Breeding – online option. His current research is on regulation of phytosterol metabolism and abiotic stress tolerance in maize. Suza earned a Ph.D. in Plant Breeding and Genetics (with emphasis in plant molecular physiology) from the University of Nebraska-Lincoln. He also has worked in central and southern Africa, including at the World Food Programme, Angola, and the United Nations Children's Fund, Zimbabwe, in the areas of food security assessment and mapping of vulnerable households, drought assessment, and coordination of food aid.